We take great pride in what we do. Barrington has built its proud reputation through high quality decoration projects throughout Cheltenham, the Cotswolds and surrounding areas. Here are just a few examples of our latest work. We performed interior maintenance and decoration upgrades throughout the property. Consisting mainly of interior woodwork repair and renovation, we were awarded this project due to our extensive experience working on grade I listed buildings and monuments. 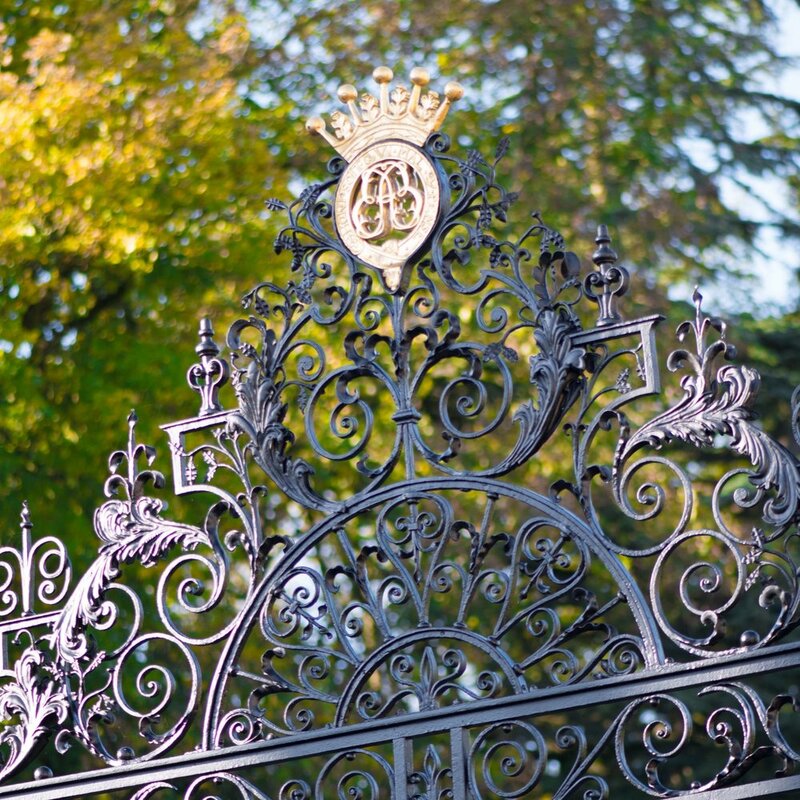 Cecily Hill Gates is a set of prestigious gates at the main entrance to the highly regarded Cirencester Park. Working closely with surveyors and product manufactures, we were able to ensure a long lasting high quality finish on time and budget. We were tasked with restoring this Cheltenham-based Georgian town house to its former glory. Intensive coving restoration coupled with sensitive decoration to new and existing lime plasters. The complete house was restored on budget to an exceptional standard. Through this project we were successfully awarded the Guild of Master Craftsmen recognition. Undergoing major refurbishment, Barrington where tasked with providing the high end interior decoration throughout. Specialist paint effects on the ceilings and durable finishes on walls and woodwork. We again, successfully completed this commercial project on time under intense deadlines. 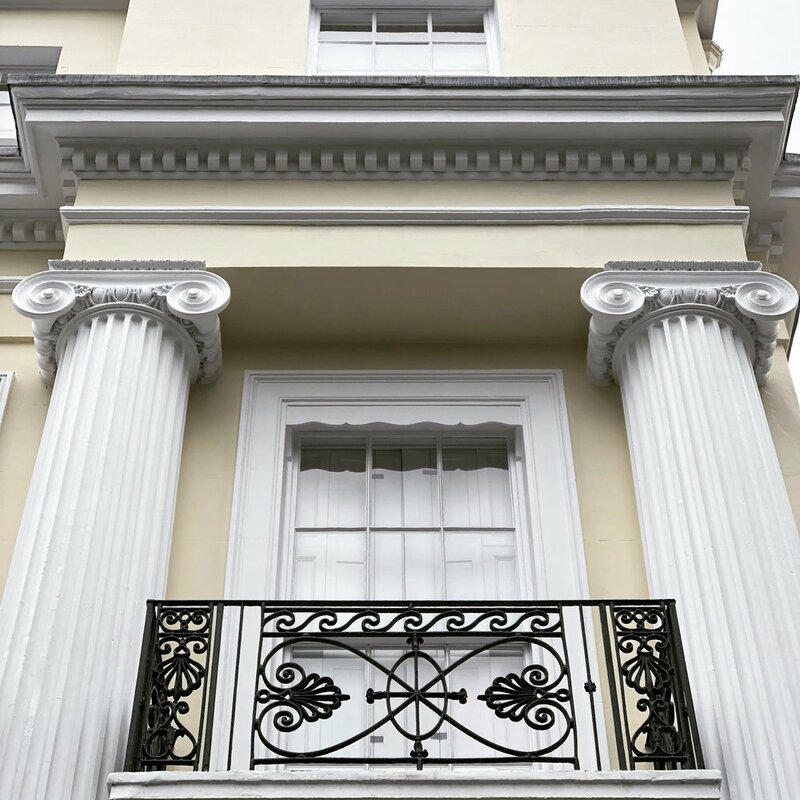 This large Grade 2 listed Cheltenham townhouse was fully refurbished externally by our skilled team of professional decorators. Showcasing beautiful, classic georgian features, we were keen to make the most it. Through sensitively restoring the imposing two large columns and applying traditional colour schemes, we achieved a fantastic result the client was thrilled with. The company owner, Jon Hateley is trained in decorative special effects work. Being very much hands on he undertook this bespoke service for our creative client. Briefed with the colours Matchstick, Dimity and Savage Ground from Farrow & Ball, Jon was able to produce a very unique design and specialist finish. In this two month project, Barrington provided extensive decoration and building works to this fantastic Cotswold country property ready for sale. Works involved, carpentry and joinery, wall repairs and plastering, traditional glazing, lime washing and complete painting throughout. The house sold for full asking price and the high quality finishes of the interiors were a paticular selling point. A previously derelict Barn was transformed thanks to its passionate new owners and talented tradesmen. All cladded ceilings in this property were coated using an airless spray system to achieve a fast, flawless finish. 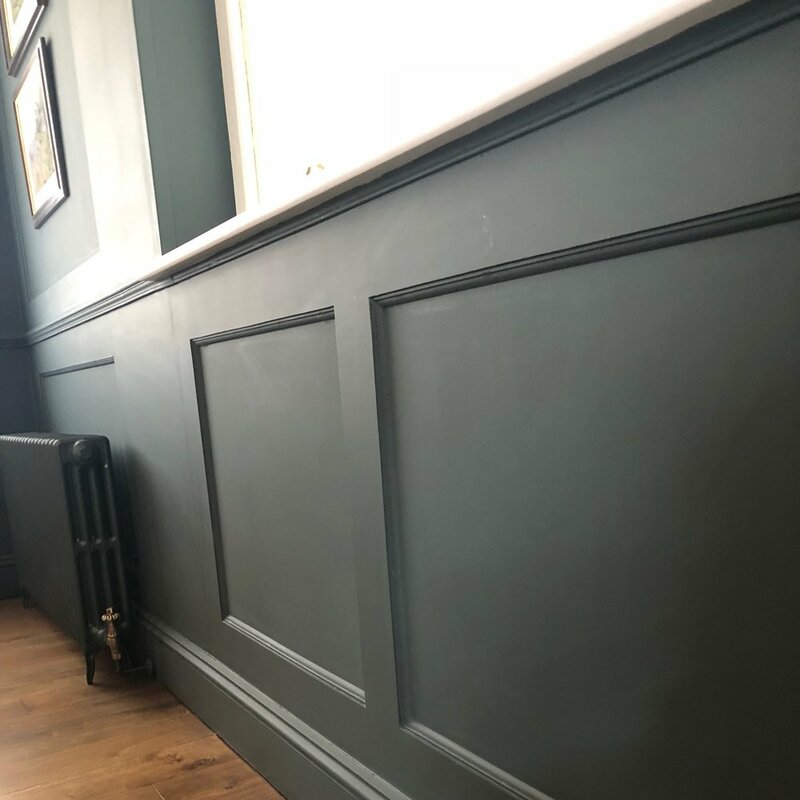 All walls and remaining woodwork were then coated, working very closely with the client and drawing upon our experience to advise on specific paints. Barrington provided ongoing bespoke maintenance and decoration upgrades to this 250 acres private country residence in Shropshire. Working discreetly and closely with the house management, we scheduled the decoration upgrade of the entire property to an exceptionally high standard throughout. Due to damage, Barrington were tasked to repair and re-finish various areas of this spectacular self-build property in Tetbuy. This project consisted of deep plaster repairs and airless paint spraying to a flawless, fine quality finish meeting exacting requirements. Barrington provided a discreet, 24 month maintenance plan for the upkeep and decorative improvements to our clients country residence. Our work consisted of fine finish spray work, hand painted finishes and exterior barn refurbishment.